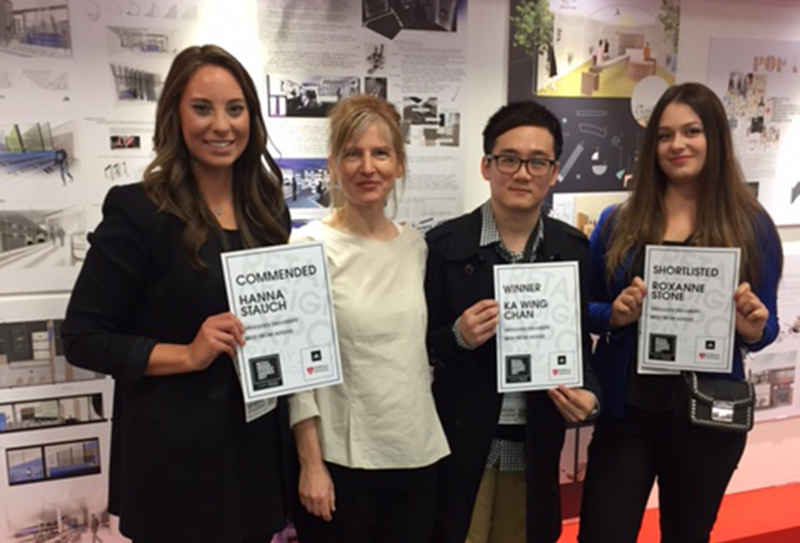 Middlesex student Ka Wing Chan (pictured centre, right) won first prize for his Adidas design at the Retail Design Student Awards, announced at the Retail Design Expo 2017 on Monday 8 May in London. Designed to promote the future stars of retail design, the annual awards see students tackle live briefs from retailers and brands. Sportswear giant Adidas tasked Middlesex design students with creating a retail environment that could ‘connect with the creative customer of tomorrow’, while celebrating the brand’s long heritage. 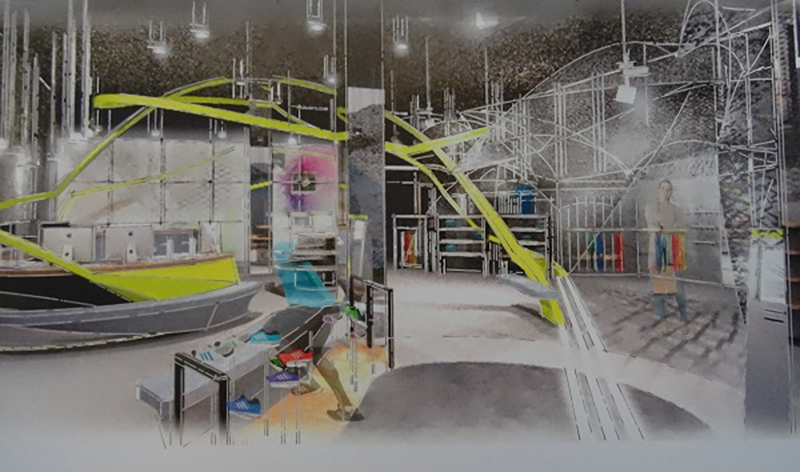 Interior design student Ka Wing Chan’s entry impressed judges from the outset by focusing on an energetic environment that brought together both movement and space. “It has a strong story-telling dynamic and clarity. It feels like a new world, the future,” said the judging panel. As part of the competition process, Middlesex students were allocated a mentor from an established design practice to consult with in addition to their regular tutors. David Fern, Middlesex University’s Director of Programmes for Interior Architecture and Design, says such competitions are a great way of preparing students for the world of work. “This competition was a fantastic opportunity for our students to engage with a 'real' client on a 'real' design brief. “We set the brief to our second year BA Interior Design students within a core module as an assessed project and the judges were delighted with the professional quality of the outcomes. As a winner, Ka Wing Chan will now be offered a paid internship with one of the retailers and design agencies involved in the scheme.